Enroll at Bruce Ford, and you'll start earning rewards* for service and parts purchases on every vehicle in your household - any make, any model! Plus, receive a $10 enrollment bonus towards future service or parts purchases when you sign up. And as always, you'll get competitive prices, Ford-trained technicians and convenient business hours. 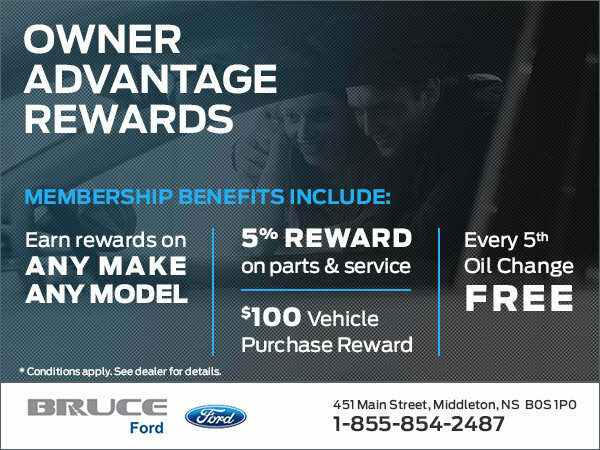 To start earning rewards, visit Bruce Ford and ask one of our Service Advisors for details.